In 2018 I was determined to resurrect my podcast and give it a proper series/season so I could then decide whether it was something to continue with or drop. A brief history if I may. The Podcast, then called Desert Island Geek, began in 2007 and was hosted by Neil Dixon who did the first 7 Episodes. It then vanished from ‘iPodderX’ which was the app I was using to sync podcasts to my ipod nano. I got in touch with Neil in 2008 and asked him when the next episode would be and he said he did not have the time to do anymore. I asked him if I could take it over as I loved the format – he said yes. He kindly gave me all the website files and the domain name and other assets and then I promptly did nothing until 2014! I started my next run with an interview with Neil himself as felt this was a nice way to end that association and for me to become the next ‘Customs Officer’. I did three episodes for Season 2 going in 2015. Another 3 years passed and it was still playing on my mind that I hadn’t done anything properly with it and felt I was still letting down Neil on taking it over. 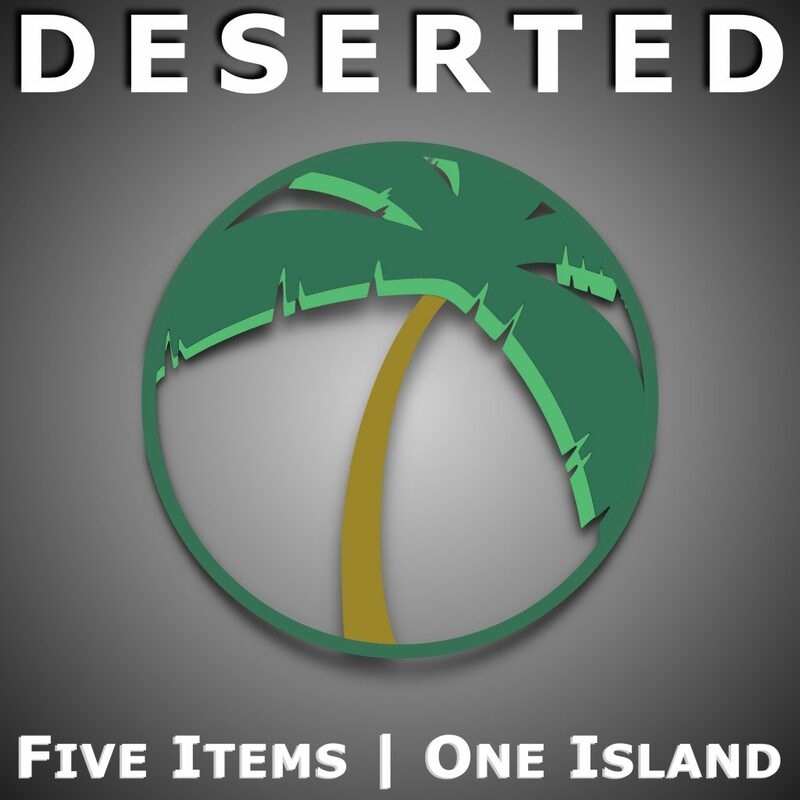 I was feeling nervous about the name of the show and the link with Desert Island Discs and the use of the word Geek so rebranded as Deserted at www.desertedpodcast.com . Towards the middle of 2017 I started recording episodes for release as part of Season 3 which was going to be 6 episodes. I wanted to release on a fortnightly schedule and wanted to get the majority of the recordings done before launching as you need to release on a schedule to pick up any type of audience. I did that for the first 5 episodes starting Jan 28th 2018. The sixth was delayed by two months and I released a Christmas Special on the 20th December to make it 7 episodes in total. I ran the stats through podtrac so I could see download numbers. The highest amount of downloads for an episode in this latest season has been 278. It’s an interview show and so can expect fluctuations in numbers depending on how well know the guest is. I have decided with these numbers it has not grabbed enough people to make it worth investing in another series. I will keep the site and feed up until it comes up for renewal and then drop it. Has it been a complete waste of time? No – it has given me a variety of skills and experiences. Interviewing – during 2016 I started broadcasting/presenting cover at BBC Essex. My presenting experience up until then was on commercial radio (1998 – 2000) and Hospital Radio which I did for 25 years (1991 – 2016) and during these stints hadn’t done many interviews and longer form voice links. By having a strict format on the podcast to fall back to when conversation dried up it has helped me to listen to my guest and worry less about the next question which I believe has improved my interviews/phone calls on air. Editing – I have done audio editing since starting at Hospital Radio in 1991 and for 15 years was a Studio Manager for BBC World Service editing audio in foreign languages so am not new to it. After seeing a great article linked from Podnews I went all in on Reaper as my editing software and have really enjoyed it and would recommend it. As the years have gone by and more and more podcasts have come on the scene I think you need to edit and edit and be respectful of the time your audience has and ensure they are getting the best bits only. I could have been more disciplined but in the end I don’t think it would have changed the outcome much in terms of numbers. Talking with some of my heroes – it has also enabled me to speak to people I have listenned to on podcasts and always wanted to meet virtually or for real and the podcast has enabled me to do that so I am grateful for that and for their time. So that’s it. If you want to make a podcast do it and if you don’t get an audience it doesn’t mean it has been a failure. I am going to write at least one more article on the future of Hospital Radio. I don’t think it is very bright if stations only continue to be a “Radio Station for people in Hospital” – I hope to back this up with facts and figures to support this claim. In the meantime, I wrote this article which I have submitted to the Hospital Broadcasting Association for sending to their members. We are aware of the impact that Hospital Broadcasting has on the NHS through the study released a couple of years ago but unfortunately, I don’t think simply broadcasting and ward visiting is enough anymore. Everyone is having to do ‘more for less’ and I think Hospital Radio stations should be no different. I can understand this is hard to read and the items outlined in this article are simply to act as ideas or suggestions to be made to your trust. These extra activities are designed to make your existence within the Hospital more certain at a time when trusts are being squeezed financially, politically and in some cases physically as the demand for accommodation increases – do you become a ‘nice to have’ rather than a ‘requirement’? Do you have an area that could be made available to trust staff during the day that they could go to to be interviewed live or pre-recorded by a radio station? This could literally be a small cupboard area with a PC (you could add a mixer if required). Around half of the BBC local radio stations are now using a web-based SIP audio connection via the Chrome browser so as long as you have a mic going into the machine and a pair of headphones this could be used. You could have Skype on the machine also to connect to others. Plenty of other solutions too – cleanfeed.net is free for example. This would save NHS staff having to leave the site to go to the radio station and it might be that the NHS IT department would supply the PC and/or internet connection. You could then use the room in the evenings to voice track shows or pre-record interviews yourself. I realise you are thinking ‘we do Radio!’ but if you have a room with no outside light or a larger studio space that isn’t utilised then do consider putting a camera on a tripod connected to a PC. You could start off with a webcam and lapel mic and attach it to skype again to allow some live in vision interviews to be done and build up to a basic camera and a backdrop. This area would serve 2 purposes – live interviews on TV/pre-records and also an area where hospital departments could come in to ‘film’ something for use on their website or on their youtube channel. This could, for example, be the physio department showing those recovering from breaks some common exercises to do to aid recovery. You could use it at the station to do Facebook Lives or pre-records in-vision to put on your Youtube Channel. By offering video/tv as part of the offering you open yourself up to a new group of volunteers. Audio to Waiting Rooms or external Surgeries. Think of the charity as an audio providing service to the NHS in your area. Are there waiting rooms, communal areas or even Doctors Surgeries in your area that could do with some audio added to them? If there are, think whether your main hospital radio feed is the best feed for them. We all hope to not spend too much time in a waiting room so perhaps the audio offering needs to be music/info jukebox style. Perhaps investigate ways in which those listening could request a song via an app or touchscreen device in the waiting room to make things more fun for those in those places. Make sure the Hospital are aware that you could voice any printed material they produce to enable those with no or reduced sight to be informed about the services the NHS Trust offers. The important thing with all of these is to speak with your trust. In most situations, they are your landlord so it makes sense to speak with them so you know of any changes to your accommodation or services. I hope these ideas have been useful to think about and maybe you can try to implement one or two? About the writer – Matt was a volunteer for Hospital Radio Chelmsford for 25 years and is now an associate member of the HBA. Myriad Playout has a ‘script’ feature built in which allows you to either link to script or allow the presenter to choose a script to read out on air. A client wanted to have a dropbox folder be the location of their scripts so it could be updated from outside the studios. I reached out and spoke with Peter Jarrett, who is one of the founders of P Squared, and he told me of a sneaky hack that could be done in the registry. It is strictly unsupported and could well be undone if you upgrade the version of Myriad Playout you are using. Using ‘regedit’ go to HKLM\Software\PSquared\Myriad v3\Profiles\Profile1\FileLocations you should see a key called “LiveReads” – set this to a different folder and then start Myriad. Using Myriad Playout v4 I found myself wanting to pre-fade the next song without it affecting the backtiming or dashboard for what was playing on air at the time. I wanted to use the fader I was going to be eventually playing the item on air from. In order to achieve this I have used the Myriad Command language to force players into and out of Preview Mode. So on Monday 1st April we mark the end of Hospital Broadcasting Week 2013. This is the annual week where hospital broadcasting in the UK is publicised and shouted about. The event began with the Hospital Broadcasting Associations annual conference and awards ceremony held this year in Blackpool. It ends on monday with over 30 stations sharing the output from Richard Smith who runs the A to Z of Pop website. This is his third ‘Big Broadcast’ and this time in association with the HBA he has been asked to broadcast for 24 hours from midday on Sunday to midday on Monday. This is a great concept of stations coming together over a period of time where they may be difficulty in getting live presenters on the individual stations. I spoke to him recently on my podcast here and he explains a little more about his past broadcasts. Richard sees this kind of syndication/networking growing in the future and so do i as the need to have presenter led output rather than jukebox output on Hospital Radio stations increases. I wish him luck and will be listening – why not tune in via the website yourself? I will be live tweeting the National Hospital Radio Awards this coming Saturday, 23rd March, from the Hilton Hotel in Blackpool. Not quite sure what the hashtag is for the event but keep a watch out there for all the info if you want to keep across the event.